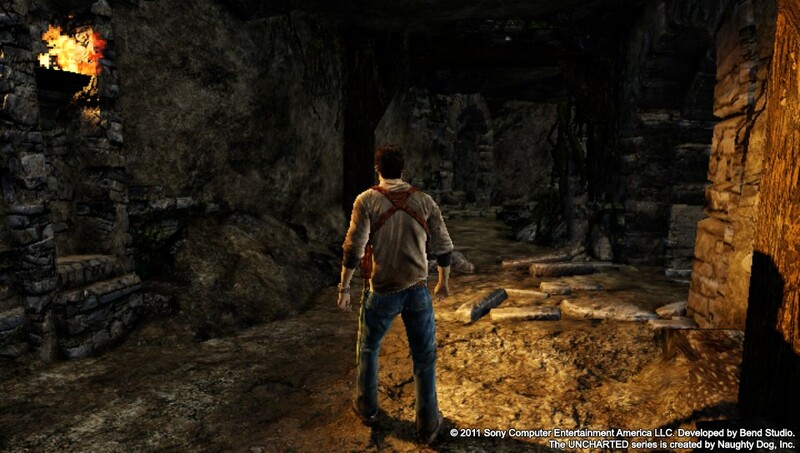 Uncharted Golden Abyss is a prequel to the original Uncharted game on PS3, and utilizes most of the features that the Vita is capable of. You’ll touch the screen, rotate the Vita, use the rear touch, and even play around with the camera features. With a great story, impressive visuals on the Vita’s OLED screen, and Nolan North reprising his role as the popular adventurer, this launch title is still the Vita game to beat. The main feature of the Vita that you’ll utilize often is of course the touch ability. Swipes and taps can turn into punches and grenade throwing, and tilting of the Vita is used when you need to balance Drake on logs and other unstable areas. You can even use swipes to have Drake automatically traverse certain areas of the environment, or stick with the traditional analog sticks and buttons. Motion control can be used to aim weapons, although I found this to be difficult in certain areas and decided to simply turn that option off. There are about 34 chapters in the game, and it took me about 6-7 hours to complete on the first play through. The game’s mechanics don’t differ too much from the PS3 games, and it’s a great way to showcase the features of the Vita. The visuals are colorful and vibrant, and it really wowed me every time I traversed the environment as Drake. Golden Abyss also supports the Near feature of the Vita, so if you have others nearby, you can trade collected treasures from the game’s menu. While we still await more Vita games to play, Uncharted Golden Abyss is one that has been on the Vita since its release, and one of the only games I would recommend at full price. It’s production values is top notch and it really impresses in the visual and touch capabilities. 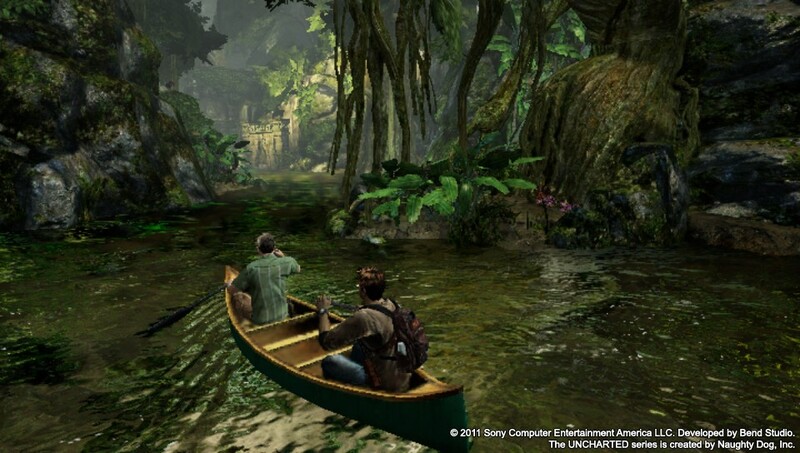 I hope in the future that they make more Uncharted games for Vita! "Uncover the dark secret behind the 400-year-old massacre of a Spanish expedition as Nathan Drake follows the murderous trail of an ancient and secret Spanish sect. 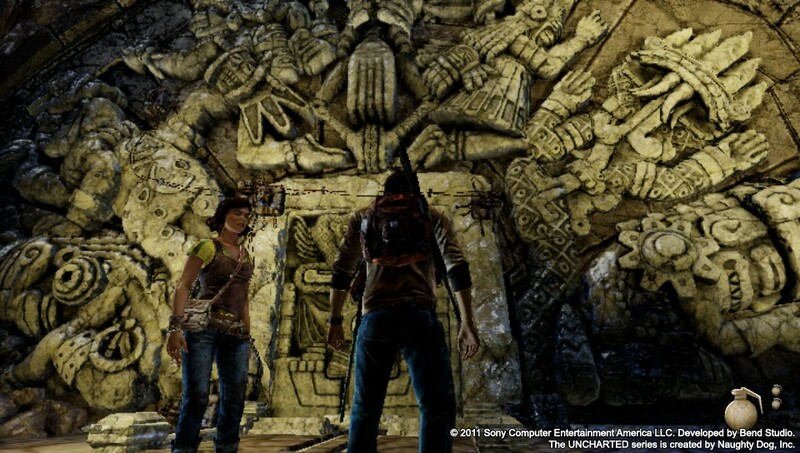 Caught in the middle of a rivalry between Jason Dante—his old friend—and Marisa Chase—the granddaughter of an archeologist who has mysteriously vanished without a trace—Nathan Drake races into the treacherous river basins, undiscovered temple ruins and karst caverns of Central America in search of a legendary lost city, only to find himself pushed to the edge of the Golden Abyss."